Categorized as a “least developed country”, Sao Tome and Principe is a state composed of two small islands off the coast of Africa in the Gulf of Guinea. It is mostly dependent on international aid, and cacao makes up 80% of its exports. The population is relatively young, with children aged 0 to 14 years representing 44.4% of the population in 2012. Sao Tome and Principe is still a young state with strong developmental abilities, however it is among the poorest in the world. While the GDP of Sao Tome and Principe saw a growth of 4.3% in 2011, in particular from the strengthening of public developmental assistance, retail trade, and tourism, the population’s living conditions still haven’t improved: gross national income in purchasing power parities per capita was 1,918 dollars and the human development index for the country was 0.488 (ranked 127th in the world) in 2010. Northern regions are more affected by poverty than southern regions. The government estimates that more than half of the population lives below the poverty line, and 29% live in extreme poverty. Poor salaries, as well as the lack of career opportunities, demotivate students. This results in a poor quality of education as well as high drop-out rates and grade repetition rates. For example, the education rate shows that 98% of girls and 97% of boys attend primary school, but only 38% are enrolled in secondary school. A limited number of schools adds to this problem. Furthermore, schools are only located in the capitals or large cities. Regional differences appear in education. 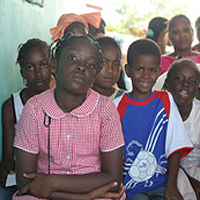 Although the government has decided to make the education sector a priority, and although its programs have had some positive effects (an elevated education rate among boys), the United Nations reported that since 2004 there has been no improvement in school drop-out rates among girls, due mainly to early pregnancies. With the goal of reducing social inequalities, the government, as well as partner NGOs such as the Red Cross, have implemented an educational aid program paid to mothers with more than three children and aiming at a minimal education of six years. The situation is very serious because the literacy rate is very poor, young girls are more prone to grade repetitions or dropping out, the quality of education is poor, and children living in remote areas have no access to the education system. The residents of Sao Tome have a poor life expectancy compared to other states in the region with the country ranked 149th in the world with a life expectancy of 68.32 years. While the infant mortality rate and the mortality rate for children younger than five years has decreased (38 in 1000 and 63 in 1000 respectively in 2008/2009), major problems remain: HIV, malaria, and food shortages. 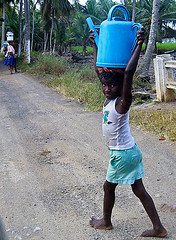 Access to drinking water and sanitation equipment remains difficult. The malaria rate has been considerably reduced (478 cases in 1000 in 2002 to 34 cases in 2009) but today remains the fourth biggest cause of death among children. According to the World Bank, 7% of the population will be affected by HIV. What remains most troubling for non-governmental organizations is the growing and rapid pace of expansion of the virus. According to a study in 2005, the rate of prevalence of HIV among pregnant women was 1.5%, while the rate in 2001 was only 0.1%. More specifically, the virus affects 0.6% of girls and 0.8% of boys aged 15 to 19. 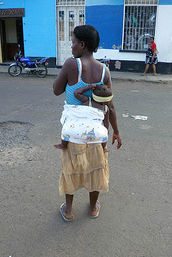 It is mainly transmitted heterosexually (89.5%), or by blood transfusion (4.8%), but also from mother to child (1.6%). Remote rural areas are more affected than inner cities, specifically due to a lack of prevention centers or medical centers. The lack of information and the continued absence of sexual education in the education system, as well as difficult access to contraceptives and protection, are the main reasons for the proliferation of AIDS. 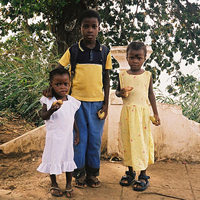 The geographical location of the islands of Sao Tome and Principe aggravates the population’s poverty. Numerous hurricanes, floods, and droughts have had a negative impact on agriculture and restrict access to certain routes. This has caused food insecurity leading to serious health problems. According to the World Food Program (WFP), in 2006, chronic malnutrition affected 34% of children under five years old while the overall malnutrition rate was 9%. The food crisis of 2008 only aggravated the situation, and it is difficult today to obtain exact numbers. To address these difficulties, the WFP has developed a school food program that will be implemented by October 2013. There is a high pregnancy rate among adolescents. Children can’t meet with a doctor without their parents before the age of 16. The development of sexual tourism in Central and Western Africa has led to an increase in child prostitution in Sao Tome and Principe. Also, in order to satisfy the sexual demands of tourists, human trafficking in women and children is on the rise. It is alarming to note that child prostitutes are considered criminals, not victims, by the law. In principle, the law allows children to work from the age of 14. But the numbers show us that in practice, this isn’t respected. For example, in 2000, 15.4% of children aged 5 to 14 years worked; of these, 17.2% were young boys and 13.5% were young girls. Children are generally employed in agriculture, in illicit sectors (drugs etc. ), or even as domestic servants. Furthermore, in the country, a minor can sign a work contract and receive wages. The law states that children younger than 18 can’t work more than 7 hours a day and 35 hours a week, and theoretically, this must be done on a voluntary basis. Concerning military service, it is mandatory from the age of 18. However, the age can be reduced to 17 if parental consent is given. The legal system still isn’t adapted to children and minors.